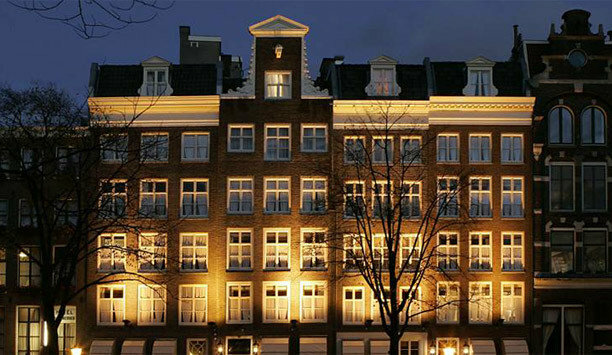 A continent rich with former palaces and historic mansions, Europe’s best hotels have luxury woven into the very fabric of the buildings. 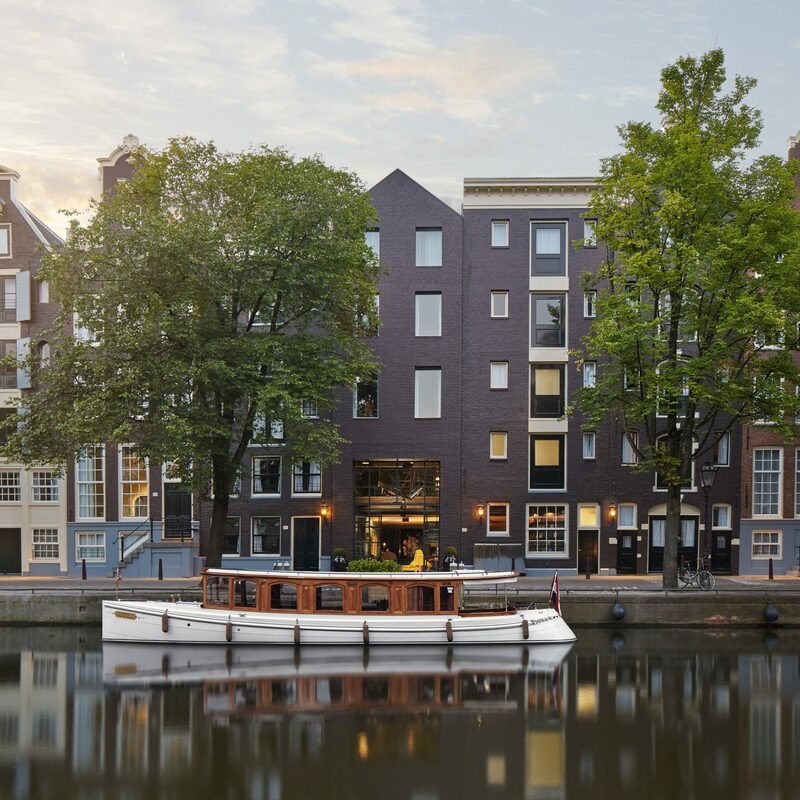 Read on for our pick of the very best, from a palazzo in Venice to a former music school turned modern marvel in Amsterdam. 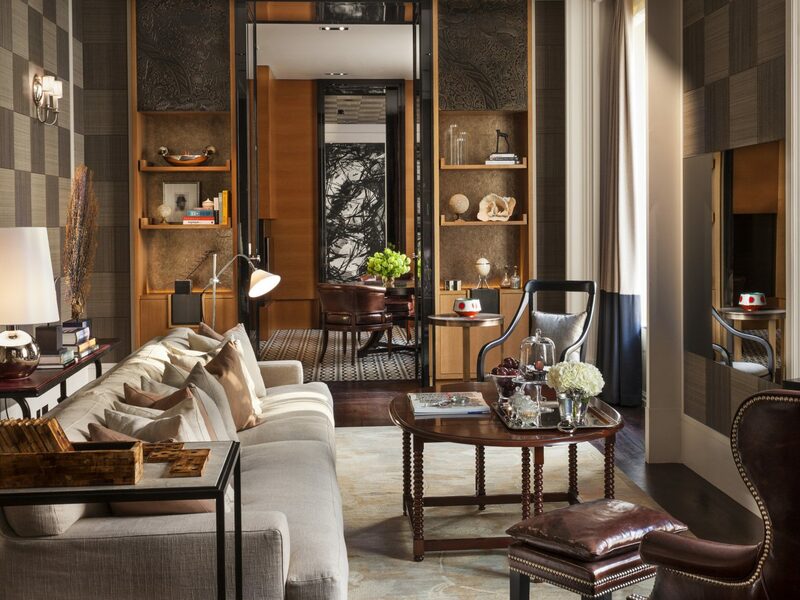 Steps from bustling Covent Garden in London’s Holborn neighborhood, Rosewood London makes a grand first impression. 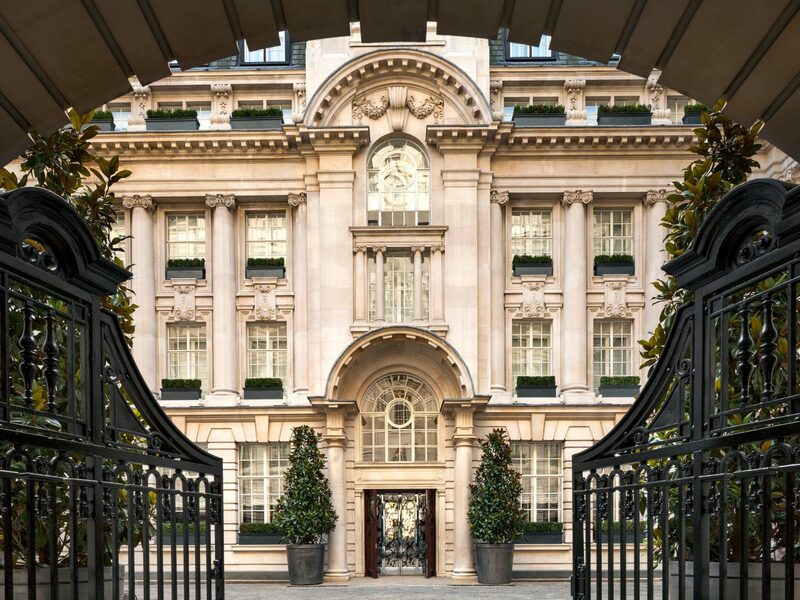 Beyond the colonnade facade, wrought-iron gates, and stone archway, guests step into a quiet Edwardian courtyard that marks the start of the Rosewood experience. 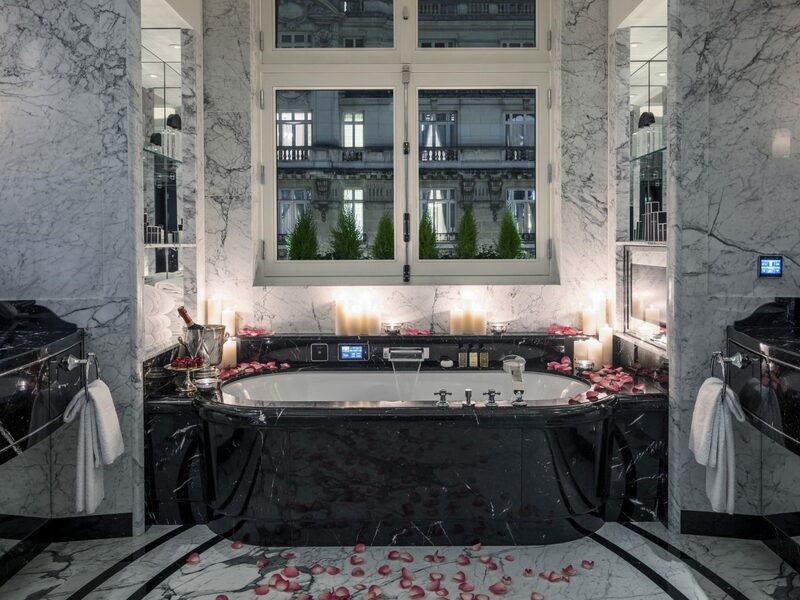 Once inside, fruits of the extensive renovation of this heritage Belle-Epoque building are on display, from the Pavonazzo marble staircase that rises through all seven stories of the hotel to the imposing 166-foot cupola. 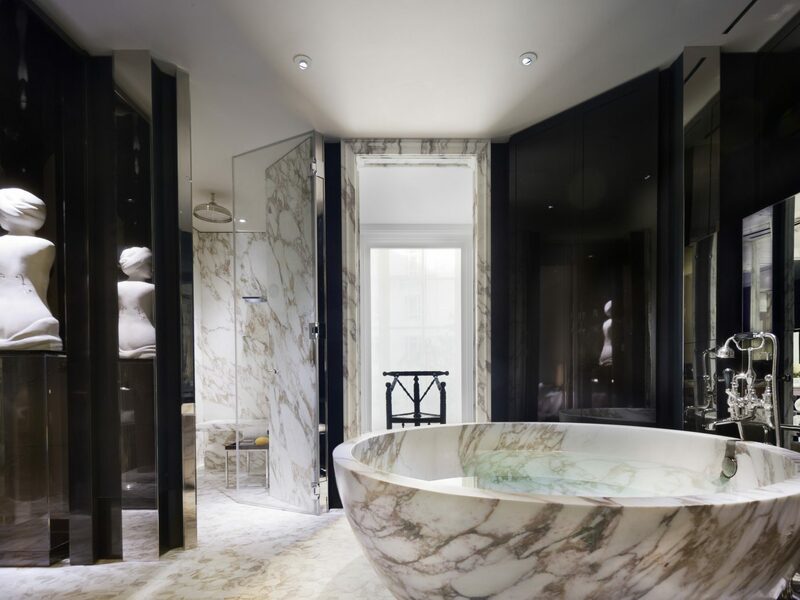 All 262 guest rooms and 44 suites were styled by interior designer Tony Chi, mixing rich materials like lacquer furnishings, wood veneers, and, in the bathrooms, acres of marble and chrome. The sprawling Grand Manor House Wing Suite is the only hotel room in the world to have its own post code, a palatial space accessed via a private entrance and elevator. Dining options are a celebration of British produce and culinary traditions, ranging from an award-winning, art-focused Afternoon Tea service to the Pie Room, a unique eatery rethinking this most quintessential meat-and-pastry snack. The grand brasserie, Holborn Dining Room, is a crowd pleaser for its throwback interiors (all leather boots and low-slung lighting) and a menu divided by meal preference (bar snacks, cold counter, hot counter, English kitchen, side, afters and more). The robust wellness offerings are unusual in a city-center hotel, including the zen-themed Sense spa, a Matthew Curtis hair salon, Face Place facial specialists, seasonal boot camps and more. 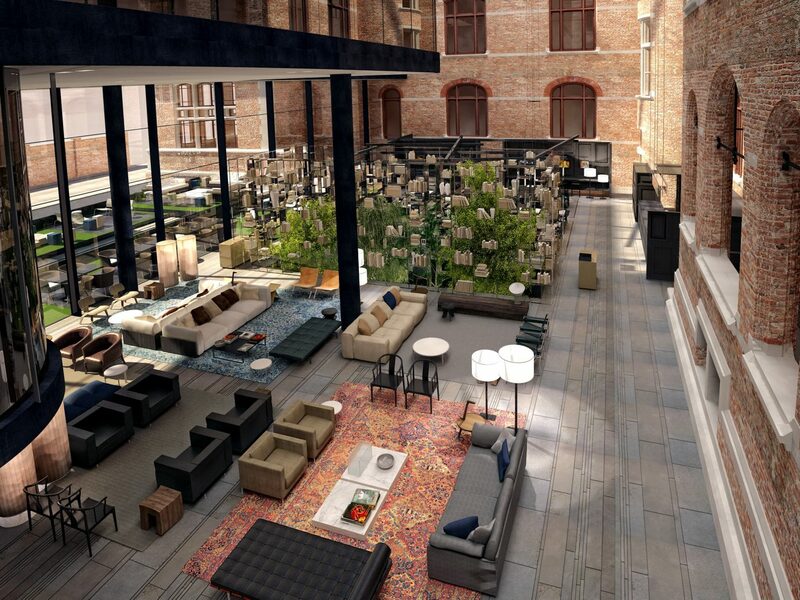 In a city of opulent hotels, this relative newbie set a new standard on opening in April 2015. 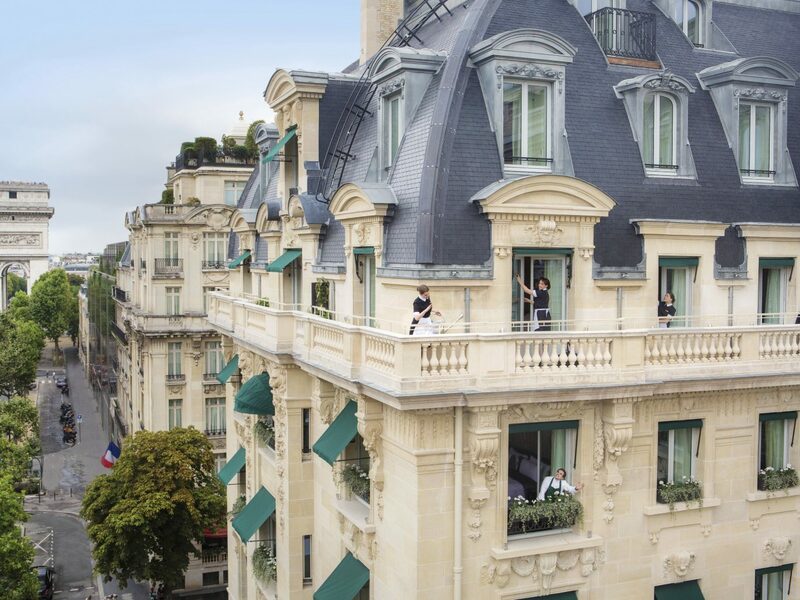 On posh Avenue Kléber in the 16th Arrondissement, the hotel made its home in a meticulously restored 19th-century Haussmann building just steps from the Arc de Triomphe, with six restaurants and bars, a knockout rooftop with Eiffel Tower views, and best-in-class spa and subterranean swimming pool. 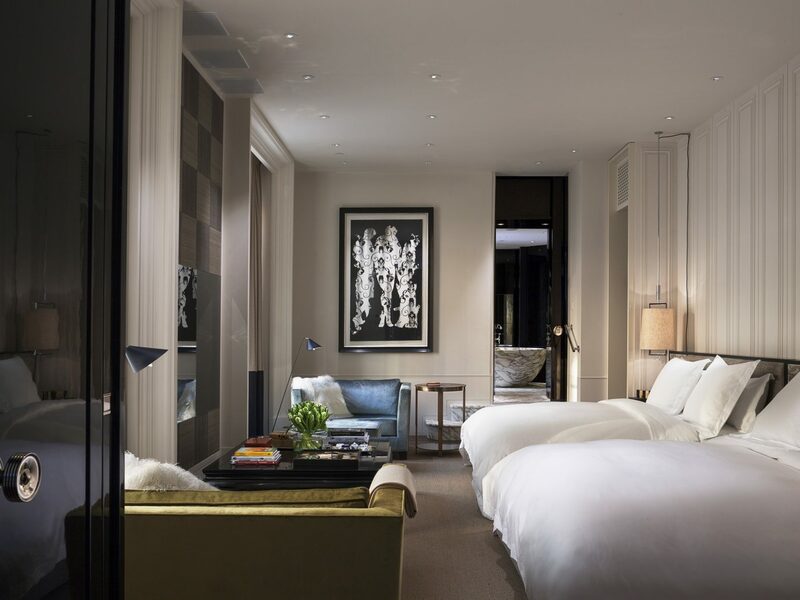 The 200 guest rooms and 86 suites were designed with Parisian haute-couture in mind, so it’s custom furnishings, wood paneling and gold leaf accents galore paired the latest in-room digital technology. There’s no casual dining at the Peninsula, so pack your Parisian best to fit among the chic clientele whether it’s breakfast in a former ballroom at Le Lobby or Cantonese specialties at Lili. For the alfresco experience, dine on Paris’ largest outdoor terrace at La Terrasse Kléber or head to the roof for an unforgettable meal of classic French fare using all seasonal ingredients at L’Oiseau Blanc. 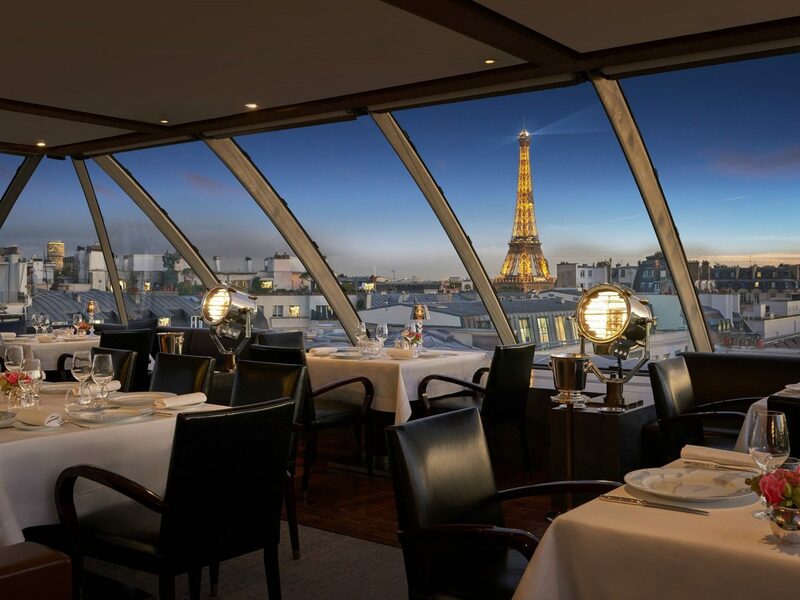 Beyond the delicious food, the views across the city’s rooftops and of the Eiffel Tower make it one of the most impressive dining rooms in all of Paris. Guests can make use of the hotel’s fleet of luxury cars for exploring the city, or spend a day at the hotel’s 19,000-square-foot spa — the largest wellness center in the capital. 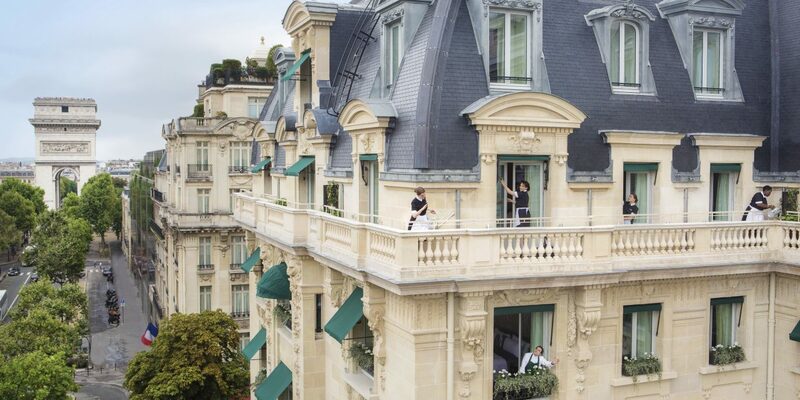 Luxury hotels are not all grande dames dripping with gold leaf and antiques. 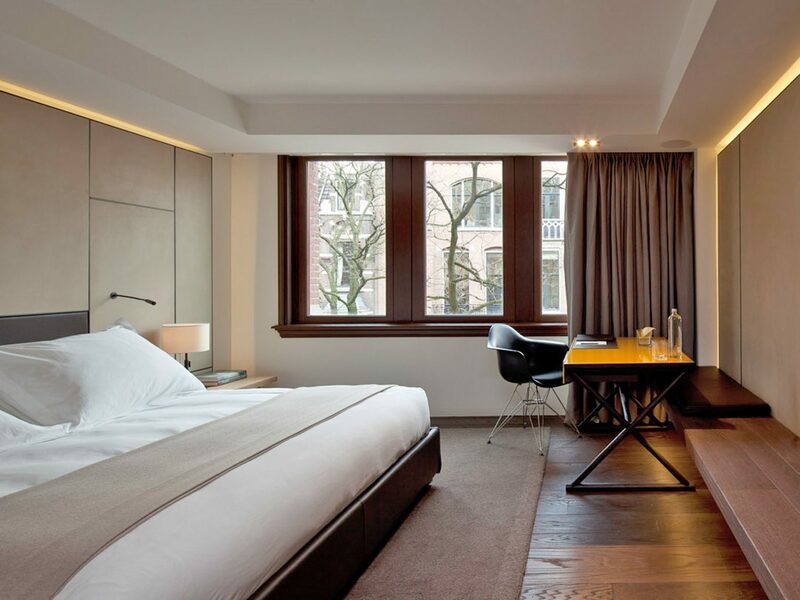 Amsterdam’s Conservatorium Hotel is a strikingly modern sleep housed in a century-old bank turned music school. 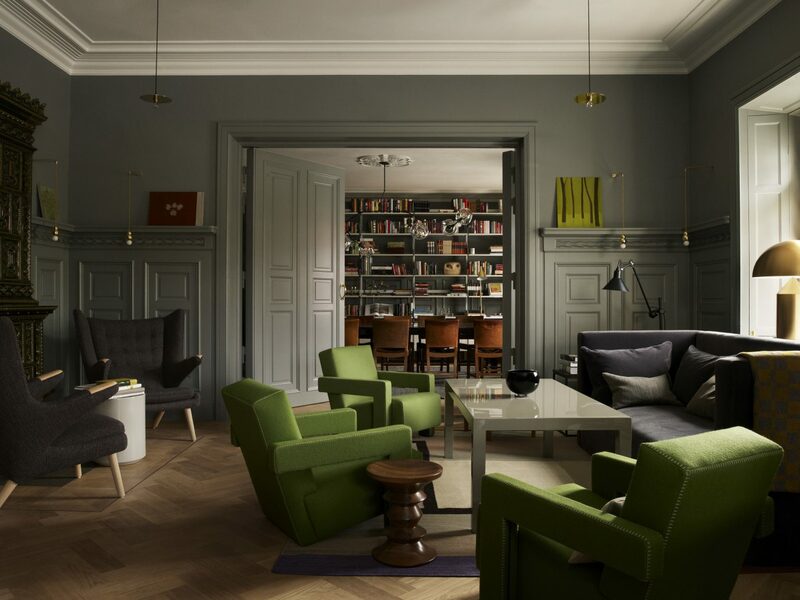 Architect Piero Lissoni made a point of highlighting the meeting of old and new via eye-catching angular steel and full walls of glass and stuck to his signature pared-back palette of contrasting grays with occasional pops of color. Custom Italian furnishings by Kartell, Cassina and more lend elegance and softness to the hard interior lines. Many of the guest rooms are duplexes, taking advantage of the soaring ceilings of the former music classrooms, or show off the building’s historical details, from stone window frames to a latticework of structural supports. 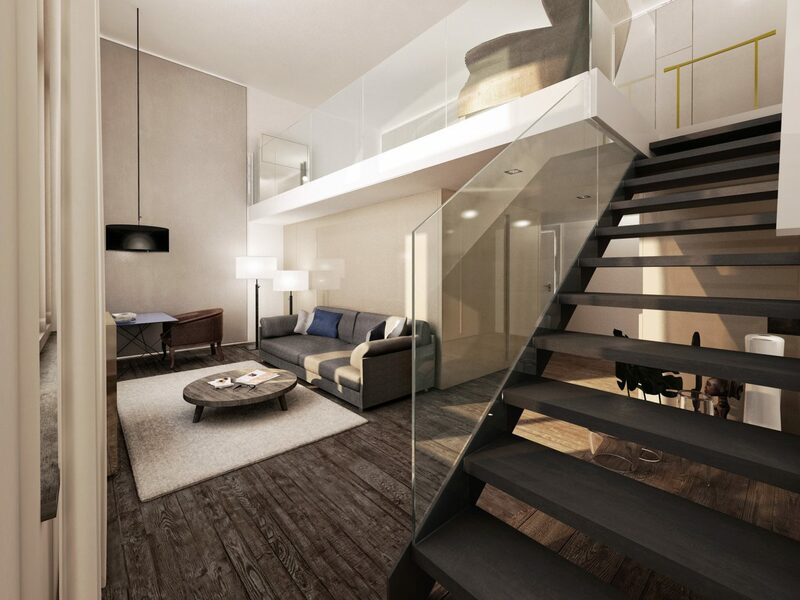 Downstairs, the all-glass lobby is the hub of activity, welcoming guests at check-in and to the casual Brasserie & Lounge for breakfast to Afternoon Tea. 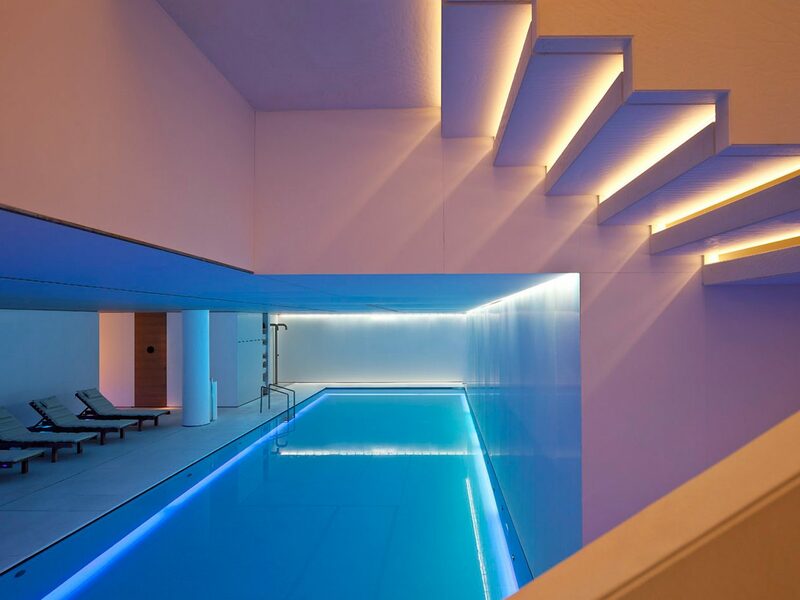 For a more decadent meal, chef Schilo Van Coevorden is at the helm of Asian-inspired restaurant, Taiko, while the Akasha spa offers a different sort of pampering via a pool, private hammam and state-of-the-art gym. 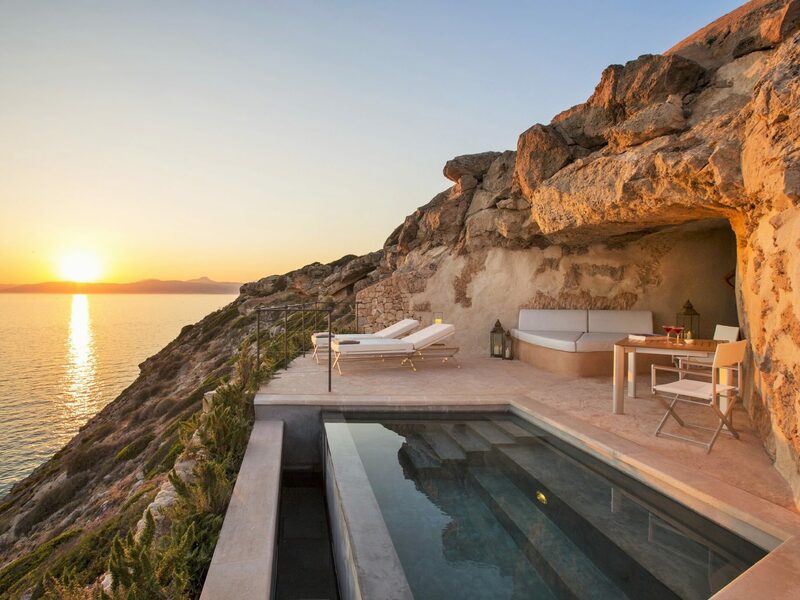 Less than 30 minutes south of Mallorca’s capital, Palma, Cap Rocat is a former military base turned cliffside hotel with exceptional views over the Bay of Palma. 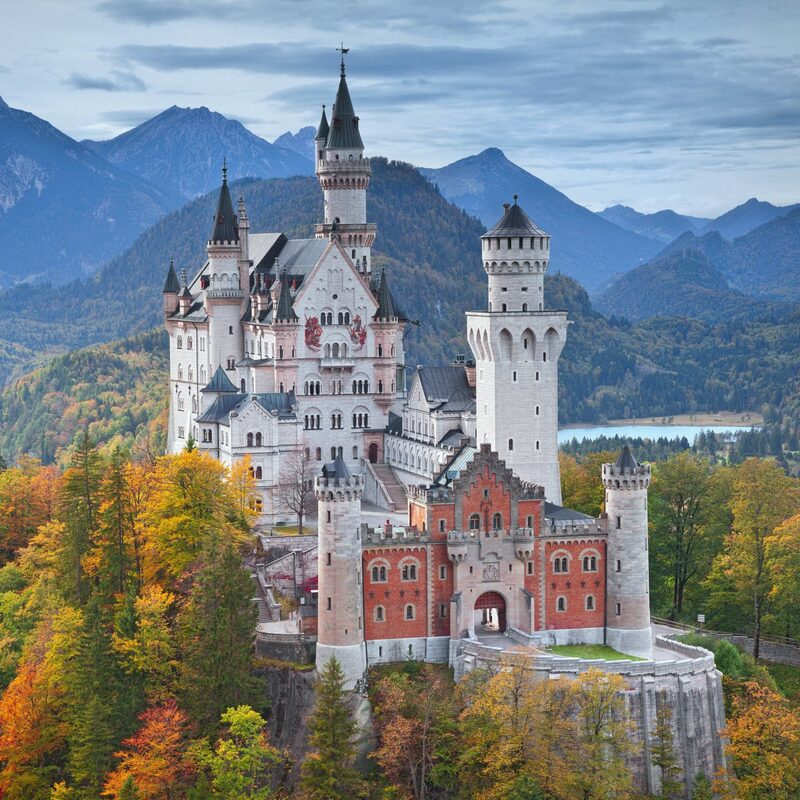 Arriving here involves passing a drawbridge, ramparts, and turrets before the cozy, limestone-hued luxuries of the modern hotel unfurl. 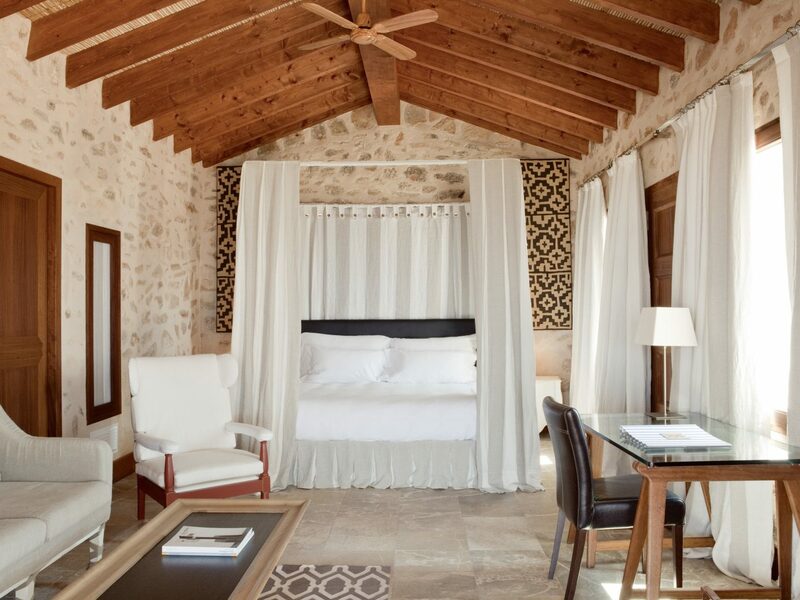 Guest rooms occupy the former cannon emplacements, so interiors are all heavy stone matched with sheer fabrics and soft design accents that do nothing to distract from the views out to the sparkling Mediterranean Sea. Don’t miss a morning dip here (there are swim ladders planted on the former pier) or in the saltwater Fortress swimming pool that’s surrounded with comfy white loungers. 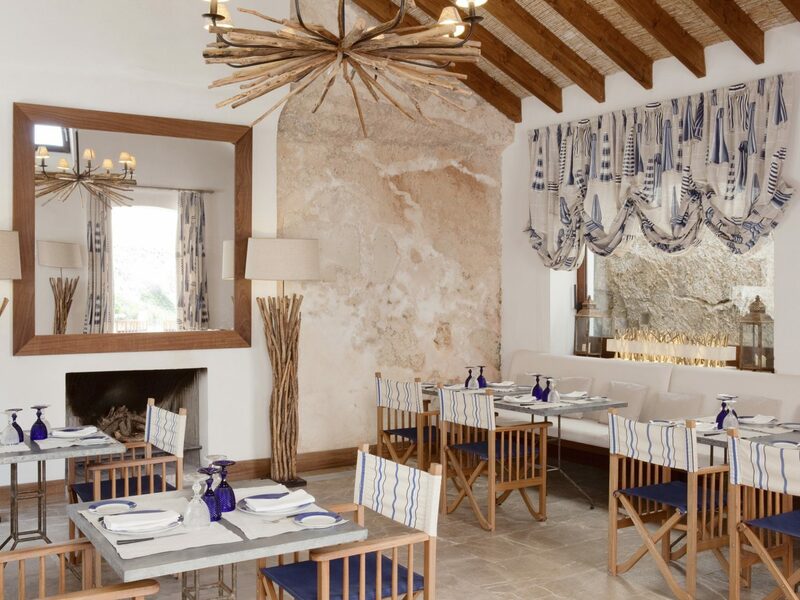 Beyond the water, activities range from clay tennis courts and outdoor yoga to long lunches at the alfresco Sea Club restaurant and treatments at the magical spa, built deep underneath the fortress. 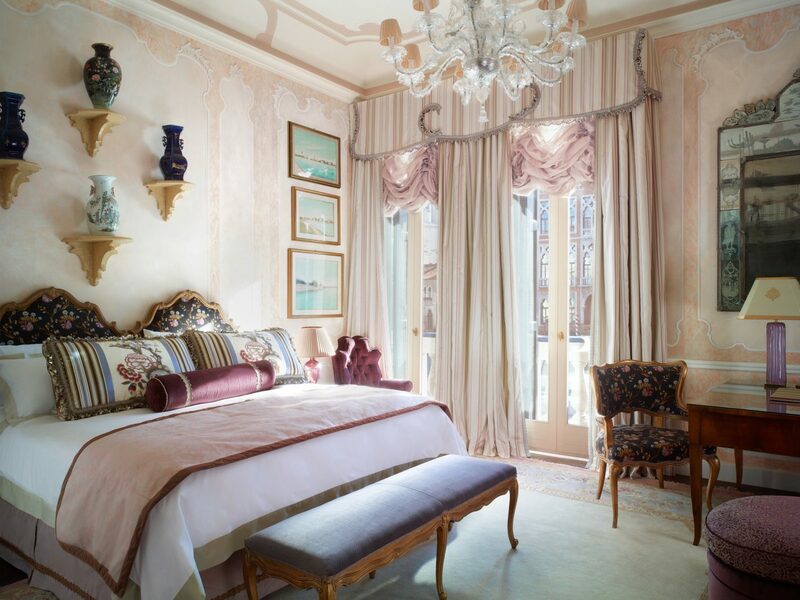 A 15th-century palazzo turned decadent luxury hotel, design supremo Chuck Chewning was behind the palace’s elaborate renovation, adding to the already elaborate high Venetian Baroque design with layers of silk, marble and Murano glass. 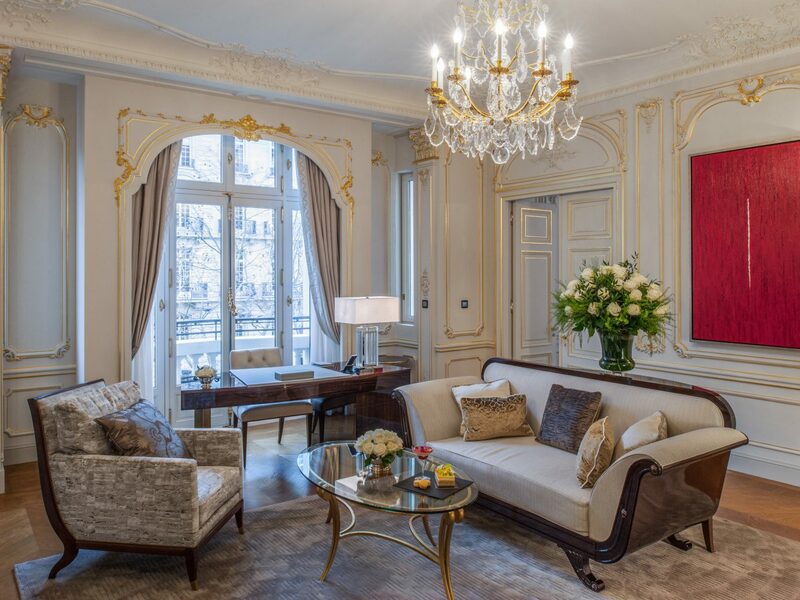 Today more living art museum than luxury hotel, a stay here requires time dedicated to admiring the acres of marble from floor to ceiling, the priceless chandeliers, and oak parquet, and custom Rubelli silks. 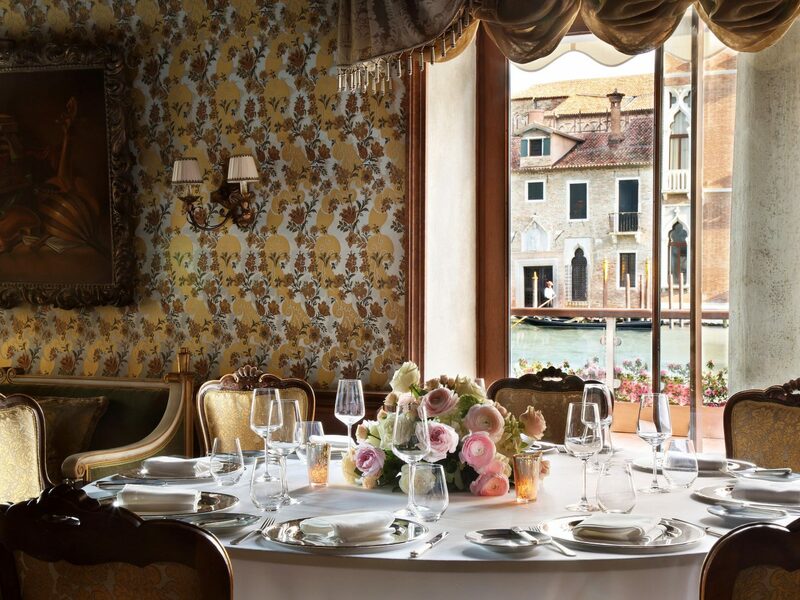 Beyond all the interior splendor, Gritti Palace’s most magnificent jewel lies beyond its windows — direct views of the Grand Canal. 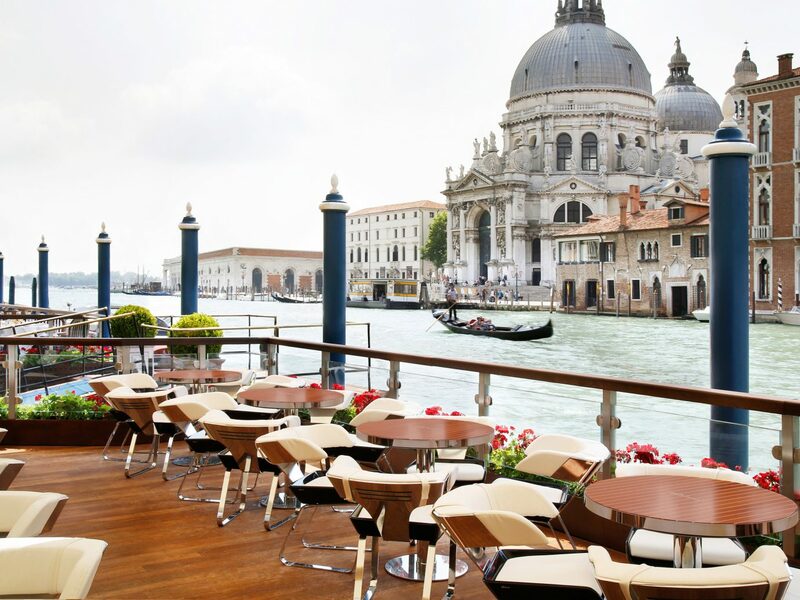 Ogle it from canal-facing rooms or classically Venetian Club del Doge restaurant or seasonal terrace, one of the most coveted tables in Venice. 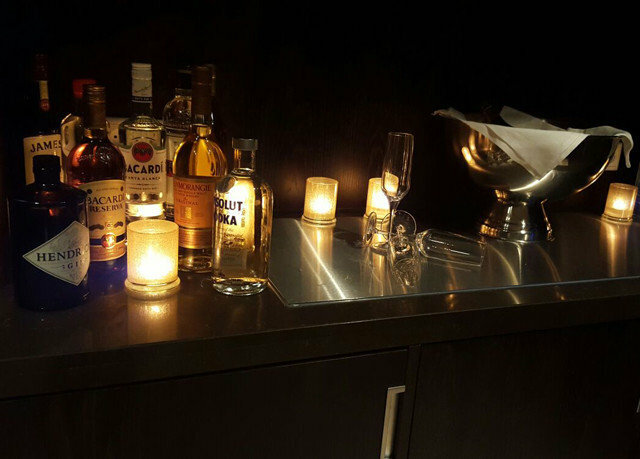 A cocktail in the elaborate Bar Longhi is essential (named for the Italian master whose paintings hang in the bar), as is a treatment in the Acqua di Parma spa or a cooking class at the hotel’s famed culinary school. 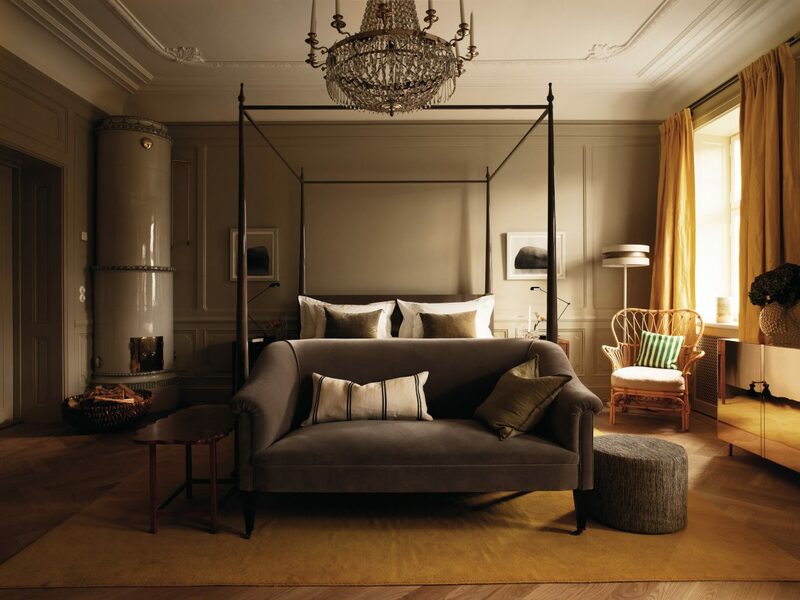 The greatest luxury of this coveted Östermalm sleep is its exclusivity. Comprising just 12 bedrooms, the hotel is booked almost year-round by a loyal following of repeat visitors who consider this their home away from home. 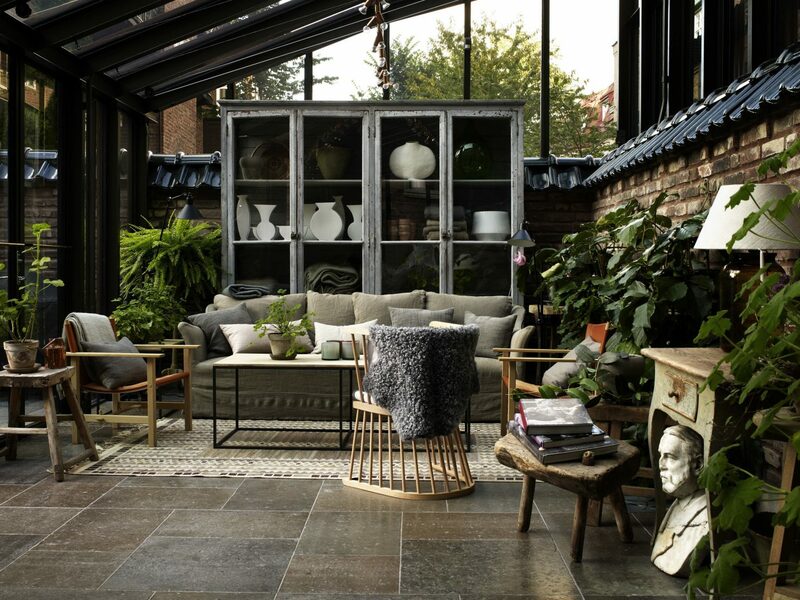 (Fittingly, Ett Hem translates to “at home.”) Designer Ilse Crawford worked her high-style-meets-home-comforts magic on the bedrooms and public spaces, with oak, Gotland stone, and sheepskin contrasting with bold contemporary artwork and traditional Swedish column fireplaces. The walled garden is the place to be during the long, late summer nights, and guests (and non-guests) are invited to dine in the kitchen, library or greenhouse throughout the year. 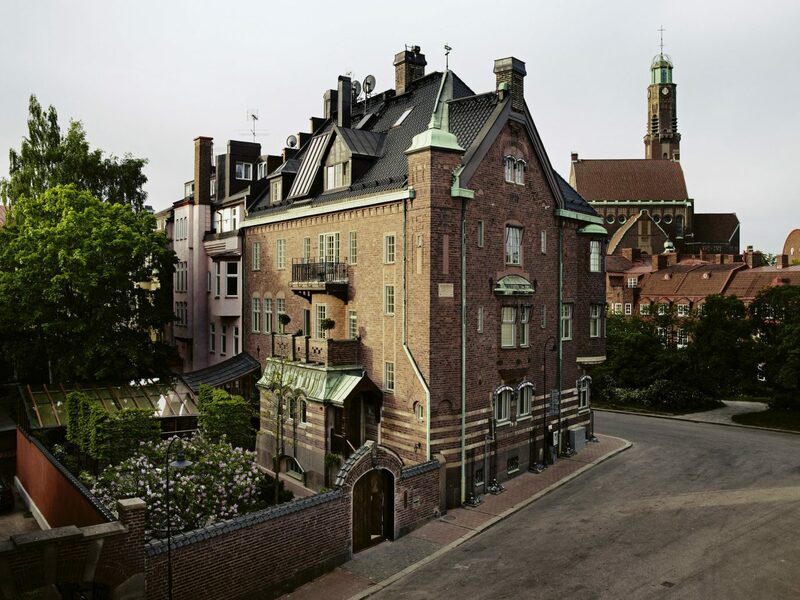 Unusual for a small hotel, there’s a state-of-the-art gym that’s open 24 hours a day, as well as a small wellness room where you can unwind on the hot stone slab or organize a traditional Swedish massage.